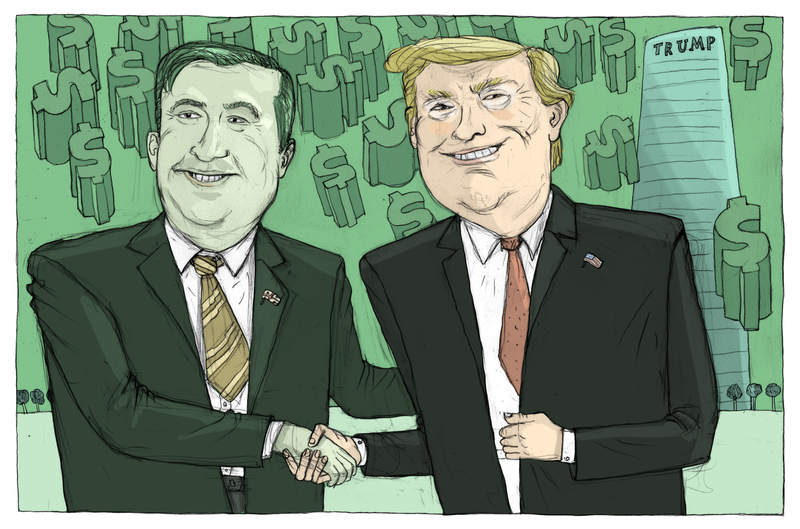 In 2011, Donald Trump and Georgia’s then-president, Mikheil Saakashvili, signed an agreement to build a Trump Tower in the Georgian port city, Batumi. Saakashvili exerted considerable effort to promote the tower, bringing Trump to Georgia in 2012 for a PR tour and lavish ceremony. But when Trump was elected president in 2016, the tower still hadn’t been built. Then, shortly before his inauguration, Trump abruptly pulled out of the deal. Masha Udensiva-Brenner tells the story of two Columbia Journalism grads, Manuela Andreoni and Inti Pacheco, who, after becoming suspicious of the deal, spent months digging into documents, news clips, and public records to figure out what happened. Soon they told journalist Adam Davidson about their findings and convinced him to join the investigation. He went on to write “Trump’s Business of Corruption,” an article about the deal published in The New Yorker in August 2017. This episode is the second in a three-part series that examines real estate and offshore financial activities connected with the post-Soviet region. In part one of the series Udensiva-Brenner spoke to Alexander Cooley about why luxury real estate deals are so susceptible to money laundering operations. Stay tuned for part three, where she interviews New Yorker staff writer Adam Davidson. Manuela Andreoni is a reporting fellow at Columbia Journalism Investigations. She completed her master's degree with Columbia's Toni Stabile Center for Investigative Journalism. Her work has been published in London's Sunday Times, Brazil's O Globo, investigative journalism nonprofit Agência Pública and Canada’s Globe and Mail, among others. In 2016, a BBC Panorama documentary she worked on won London's Foreign Press Association award for Sports Story of the Year. Inti Pacheco has worked for Agencia EFE and La Nación in Costa Rica and in El Periódico in Spain. He graduated from Columbia University’s School of Journalism in 2017. From May 2017 to November 2017 he worked as a reporting fellow at Columbia Journalism Investigations. He is currently a Data Fellow at Univision in Miami. Masha Udensiva-Brenner is Communications Coordinator at the Harriman Institute, where she edits and writes for Harriman Magazine. Please note that the opinions expressed in this podcast do not reflect the opinions of the Harriman Institute.